“The Chosen One” Tyron Lanket Woodley was born in 1982 in Ferguson, Missouri. He is the reigning defending UFC Welterweight Champion of the World. He’s a two-time All American and has also won the Big 12 tournament. Before he started competing in MMA he was a wrestling coach. Woodley was one of 13 siblings, he started training in MMA after college. He has a brown belt in BJJ and trains with Ben Askren and Anthony Pettis at Roufusport and at American Top Team. Tyron Woodley – Photo by: Jayne Kamin-Oncea-USA TODAY Sports. Tyron Woodley made his amateur debut in 2006 and was undefeated as an amateur. He took his first pro fight in 2009 on Headhunter Productions against Steve Schneider. Woodley won by submission. He also won his next fight by submission before signing with Strikeforce. He made his debut for Scott Coker’s Strikeforce in June of ’09. He faced Sal Woods who got finished via Brabo choke in the first round. He finished his next fight by armbar before he got the chance to headline a event against Rudy Bears. Woodley won by arm triangle in the first round, which landed him a spot on the video game EA Sports: MMA. He fought veteran Nathan Coy, who he beat by decision, the first in his career. He won four straight fights and had the chance to fight for the title against Nate Marquardt. Marquardt knocked Woodley out in he fourth round. Tyron Woodley made his UFC debut against Jay Hieron. Woodley won by knockout in the first round. He lost his second fight in the UFC in a lack luster affair against Jake Shields. He rebounded with a knockout of Josh Koscheck and TKO’d former interim champ Carlos Condit. After losing to Rory MacDonald he won two straight fights against Dong Hyun Kim and Kelvin Gastelum to get a shot at welterweight gold. In July of 2016 Woodley got the chance to fight team mate and champion “Ruthless” Robbie Lawler. It only took Woodley 2 minutes to knock out the champion. He then faced the same foe twice. Top contender Stephen “Wonderboy” Thompson had been knocking people senseless with his Karate on the way to the title. Their first fight was very passive and was ultimately ruled a draw. The rematch was also pretty lack luster and Woodley won by unanimous decision. Tyron Woodley faced BJJ specialist Demian Maia who had won 7 straight fights. Yet again a lack luster affair as Maia shot and Woodley defended. Woodley injured his shoulder in the first round but was still able to dominate Maia. He won by unanimous decision and Dana White unjustly threw shade at Woodley. 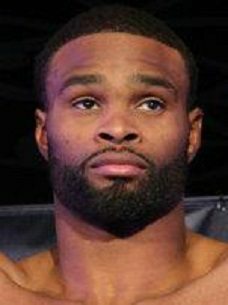 At time of writing the UFC has no fight lined up for Tyron Woodley.